Equip your product development, marketing, sales, and channel teams with data-driven insights, tools, and strategies customized to your business objectives by working with Enterprise Strategy Group (ESG). We are proudly committed to maintaining the most flexible and accessible consulting firm in the enterprise IT industry. Accelerate your business’ engineering, marketing, and sales success by tapping into ESG’s comprehensive library of market research and network of expert analysts. Gain a deeper understanding of technology trends, capitalize more effectively on market dynamics, and position your organization to capture emerging opportunities. Increase awareness, educate customers, gain share, and become a market leader with compelling marketing content developed by ESG experts. Steve Duplessie, founder and senior analyst at ESG, is an internationally recognized expert in IT infrastructure technologies and markets. An acclaimed speaker and author, Steve’s insights have been featured in Time Magazine, The Wall Street Journal, BusinessWeek, The Financial Times, USA Today, China Daily, The Moscow Times, and many other print and online publications. 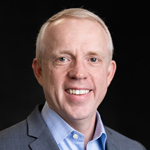 Steve is a valued strategic advisor to many of the largest technology providers in the world, including IBM, HP, Dell, EMC, NetApp, HDS, and other global IT organizations. A much sought-after speaker at conferences and industry events worldwide, Steve is known for his pull-no-punches, straight-shooting style. Steve’s presentations are renowned for being educational, opinionated, thought-provoking, and entertaining. They often draw standing-room-only capacity crowds. Prior to founding ESG, Steve was the founder and CEO of Invincible Technologies Corp., a manufacturer of fault-tolerant NAS systems. 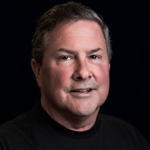 Before founding ITC, Steve started and ran a storage peripherals business unit at Clearpoint Research Corp., and he began his career at EMC.Steve holds a B.S. degree from Babson College in Wellesley, Massachusetts. Tony Prigmore joined ESG as managing partner shortly after ESG’s founding in 2000. He is responsible for all operations and oversees the firm’s analyst and research organizations, the ESG Lab testing team, and the client relations and programs team. During Tony’s tenure, ESG has grown to become a globally recognized analyst and strategy firm anchored in world-class research. 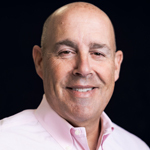 Prior to joining ESG, Tony held general management and product management positions with leading solution providers, consulting services companies, and technology manufacturers. Tony holds a B.S.B.A. from Babson College. Client Relations Vice President Mike Beaudet is responsible for client development and business development activities at ESG. 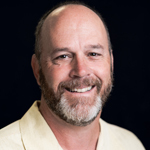 Mike brings more than 25 years of sales and business development experience to his role, including time with IT market leaders such as EMC Corporation, Clearpoint Research Corporation, ITC, CLARiiON Advanced Storage Systems/Data General, StorageNetworks, and FilesX. Mike started his career in 1985 as EMC employee #31. Since then, he has held many titles and lived in many countries. In Canada, for instance, he established EMC’s direct sales and service operations. In the U.K., he built out Clearpoint’s European sales operations. Mike teamed up with ESG founder Steve Duplessie in late 1992 for the first time to create ITC, a NAS solutions company. Mike has a degree in business administration from Saint Michael’s College, and his entrepreneurial spirit manifested itself at a young age: During college, Mike started his first business selling temporary tattoos at amusement parks in Rhode Island and at Old Orchard Beach in Maine. Mike is on the Best Buddies Massachusetts Board of Advisors. Best Buddies is a nonprofit 501(c)(3) organization dedicated to establishing a global volunteer movement that creates opportunities for one-to-one friendships, integrated employment and leadership development for people with intellectual and developmental disabilities (IDD). Brian is committed to providing independent validation and analysis of the technical and economic benefits of emerging technologies throughout the IT industry. The values he strives to instill in his team are a customer-centric approach to ESG’s relationships and empathy with the end-users who rely on ESG’s guidance in purchase decisions. Brian has been awarded nine patents. Chief Financial Officer Walter Mason oversees all aspects of ESG’s internal and external financial business. Working closely with his team, Walter oversees accounting, budgeting, financial planning, financial community interactions, financial analyses, and financial performance monitoring. His professionalism and extensive experience, combined with his attention to detail, make him a tremendous asset to ESG. Walter received his degree in accountancy from Bentley University, then he joined the CPA firm of Auerr, Mason, and Zajac as a corporate consultant and tax preparer before coming to ESG. Outside the office, Walter is dedicated to his family and youth sports. He is now retired after a 30 year career as a Little League baseball coach in Franklin, Massachusetts. 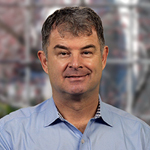 John McKnight leads ESG’s analyst team and is responsible for all analyst services and market research operations. Under his leadership, ESG has become an established, respected, and trusted provider of research and advisory services, strategic consulting, and custom content solutions for the global IT community. 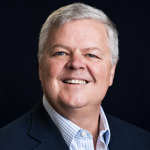 Over his tenure, John has grown ESG’s market research capabilities; developed a number of new product offerings; and helped lead ESG’s expansion into new coverage areas such as cybersecurity, cloud computing, enterprise mobility, data management and analytics, and the Internet of Things (IoT). Prior to joining ESG, John was the director of corporate marketing at an enterprise networking start-up, where he was responsible for a variety of functions, including corporate communications, competitive analysis, market research, product marketing, business development, and sales support. Early in his career, John held a variety of research and client relations positions at Forrester Research. John holds a B.A. from Bates College and is a member of Phi Beta Kappa. 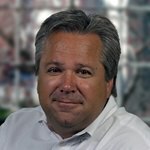 Eric-Jan (EJ) Schmidt has joined ESG as an Executive in Residence following his successful marketing leadership tenures at edge computing provider Stratus Technologies, SaaS-based enterprise financial services software company Intralinks, leading technology infrastructure vendors Hitachi and EMC, and system integrator Cambridge Technology Partners. As EiR at ESG, EJ will call on his diverse background and extensive experience in technology marketing to help support and guide clients in ESG’s cybersecurity, AI, and IoT practices.